Alter Bridge guitarist Mark Tremonti has confirmed the band’s plans for recording the follow-up to 2016's "The Last Hero." 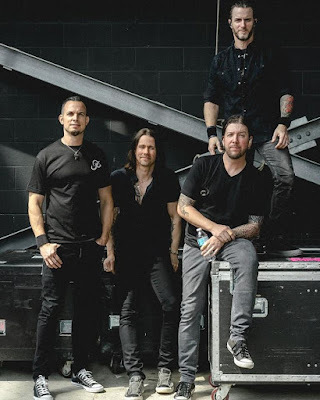 Last fall, Alter Bridge released "Live At The Royal Albert Hall"; the package documents the band’s a pair of October 2017 sold-out shows at the iconic London venue, where they were backed by the 52-piece Parallax Orchestra led by conductor Simon Dobson to deliver a career-spanning set. Singer Myles Kennedy spent much of 2017 touring in support of his debut solo effort, "Year Of The Tiger." Recorded with producer and longtime Alter Bridge associate Michael "Elvis" Baskette, the project reached No. 63 on the US Billboard and top 10 spots in Scotland, New Zealand and Austria. The rocker will regroup with Slash And The Conspirators this week to begin a European tour in Offenbach, Germany on February 7 in support of their latest album,"Living The Dream", and join them again this summer of series of just-announced dates for a North American trek in July.